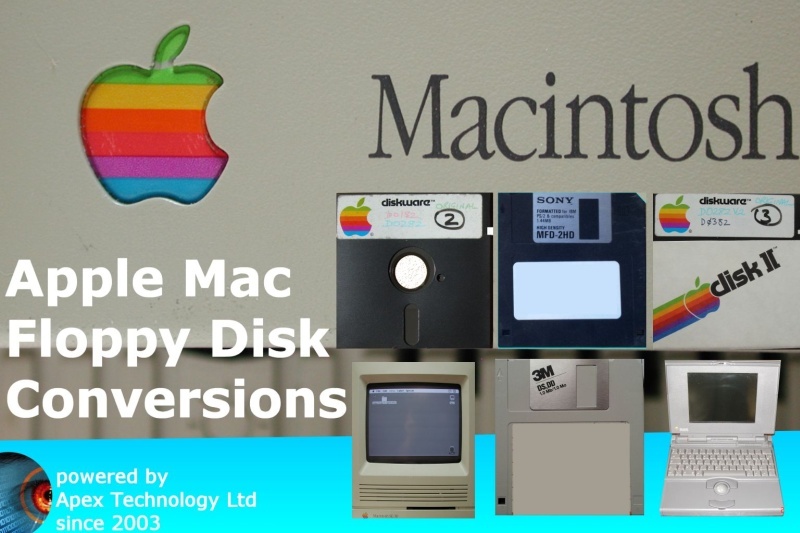 If you need a Apple Mac Floppy disk conversions including Macintosh 3.5 and 5.25 inch discs service, then contact our friendly company. Apple Mac Floppy disk conversions including Macintosh 3.5 and 5.25 inch discs. The Apple II disks and old MFS formatted disks are not a problem. 5 inch floppies or 3.5 floppies all converted. Data recovery for corrupt disks.